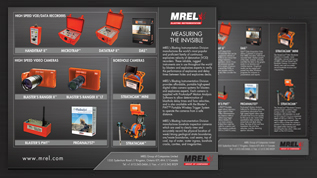 MREL Blasting Instrumentation - High Speed Data Recorders, High Speed Video Cameras, Borehole Inspection Cameras. 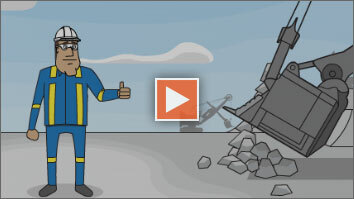 If you manufacture, use, or study explosives and their effects, it’s likely you’re already documenting the performance of your explosives, detonators and blasts with the world’s leading recorders and cameras from MREL’s Blasting Instrumentation Division. Applications include explosives velocity of detonation (VOD), detonator delay times, airblast overpressure, underwater pressure, dynamic strain, near-field vibration, firing times of blastholes, rock & stemming movement, and borehole condition inspection. MREL’s Blasting Instrumentation Division provides unlimited technical support for all of our products. Our online product support section contains the solutions to most common requests pertaining to software and manuals. Our contact page provides the multiple ways you can quickly get in touch with us. Additionally, a network of Authorized Dealers provides local product sales and after sales support to MREL's customers around the world.